It can start with an after-school program like Numbers and Nibbles, making math fun for kindergarten to grade 2 students. It can end up making a big difference for kids in school as their comfort-level with math boosts their learning success. 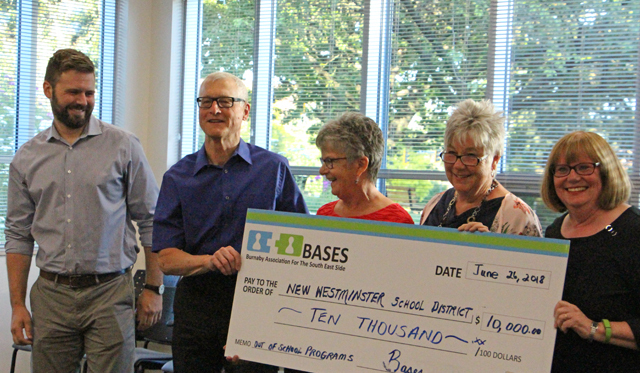 A new pilot project supporting after-school programs is being launched in New Westminster Schools – thanks to a group of Burnaby-based retired educators and volunteers. They have been running the BASES family thrift store on Edmonds Street in Burnaby in support of programs and activities for at-risk children and families since 2011. They are now sharing their generosity in neighboring New Westminster Schools. Their $10,000 donation is supporting programs like two upcoming Rec and Read summer camps for elementary students in New Westminster Schools, said Rick Bloudell, district community schools coordinator. The camps are designed to provide an extra boost for students who can benefit from intensive reading help – with the guidance of an early literacy teacher as well as volunteer reading buddies through the New Westminster Public Library. “For kids struggling with literacy and numeracy, these kinds of programs can help overcome the fear that many have,” he said. The Rec and Read program is being held at the Qayqayt Neighbourhood Learning Centre in July. 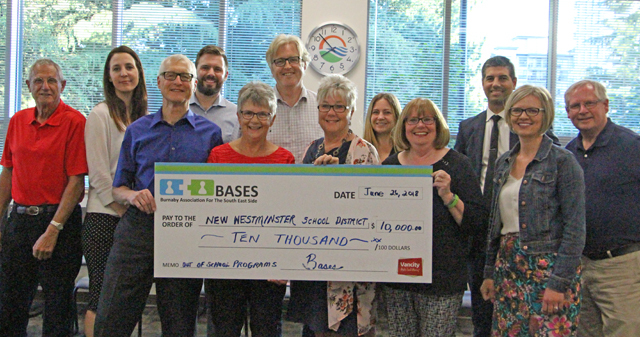 The BASES-supported pilot project at New Westminster Schools will also lead to a middle school program, a Numbers and Nibbles programs at two schools, and a popular Parents Night Out session, which hosts information nights on social media awareness, safer schools and other issues of interest. “Their support is huge,” said Bloudell. As Sharon Domass, a board member with BASES ( Burnaby Association of the South East Side) explained to the Board of Education this week, the educators turned their desire to support kids’ programming in 2011 into a successful charitable organization that six years later raised $150,000 to support students. Their BASES Family Thrift Store has been voted the #1 thrift store in Burnaby and now runs with the help of six employees and 60 volunteers. Their work has led to hundreds of programs for kids in elementary and secondary schools in the last six years – from basketball, homework clubs and bike programs, to Lego, “Mad Science” and camp experiences. Almost all programs provide kids with healthy snack food. The BASES Board of Directors is now turning its generous attention to neighbouring New Westminster Schools. Domass explained that New Westminster has similar demographics to the southeast area of Burnaby – which is culturally diverse and home to families from more than 67 different countries. 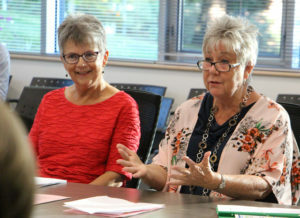 As Rick Bloudell described the Board of Education meeting this week, “It was a feel-good atmosphere” thanks to the support of retired educators committed to learning success for all children.